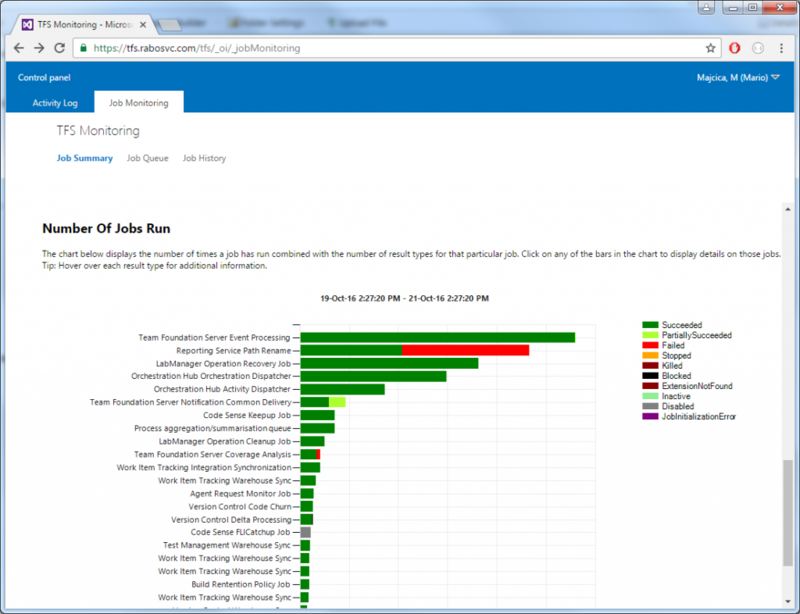 After migrating our TFS 2015 server to a different AD domain we started seeing in our Job Monitoring page a large number of “Reporting Service Path Rename” job runs failing. In the job details result message we can see the following, The permissions granted to user 'RABOSVC\prd.TFSService' are insufficient for performing this operation., where 'RABOSVC\prd.TFSService' is the application tier service account. After a quick check, all the permissions set in the reporting services seemed to be all right. 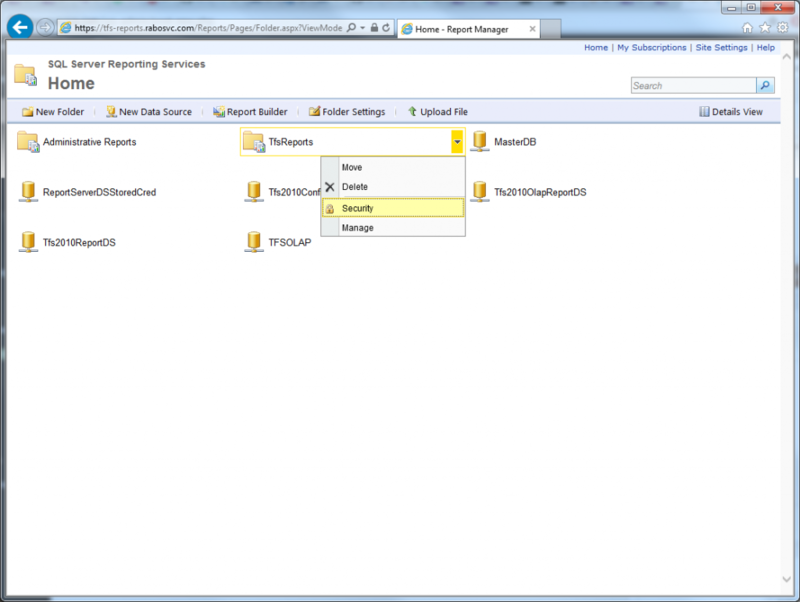 In the ‘Site Settings’ our service account was added in ‘System Administrator’ role, as on the ‘TfsReports’ folder it was set as ‘Team Foundation Content Manager’, and also inside ‘TfsReports’ folder it had also ‘Team Foundation Content Manager’ association on the Team Project Collection folder. As it turned out this was not sufficient. On the project level folders we also needed to associate our new TFS Service account to ‘Team Foundation Content Manager’ role. 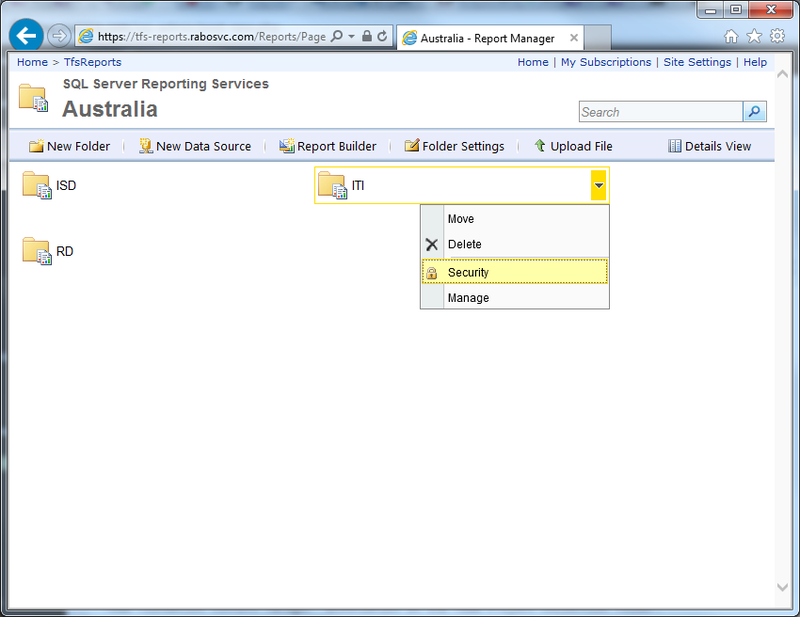 Once done, the “Reporting Service Path Rename” job managed to run successfully. Obviously this needs to be set only once, for the projects created previous to the domain change. Newly created projects will inherit the correct right from the Collection folder. Although this is not a very common operation/situation, still I hope this can help someone in a similar situation as not many references to “Reporting Service Path Rename” job can be found on Google. Also I would like to say a big thanks to Microsoft support which helped us diagnosing this issue.